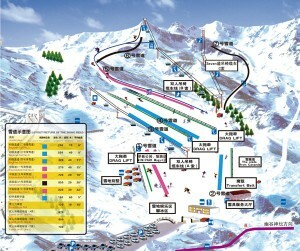 Here is the list of most famous ski resorts around Beijing. 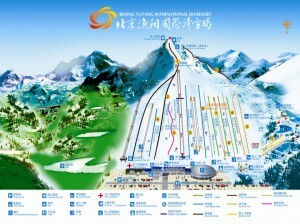 So far, based on our experience, only Wanlong Ski Resort reaches the quality standards of Ski Resorts of Western countries. Other may not have natural snow and limited slopes – in quantity and quality. 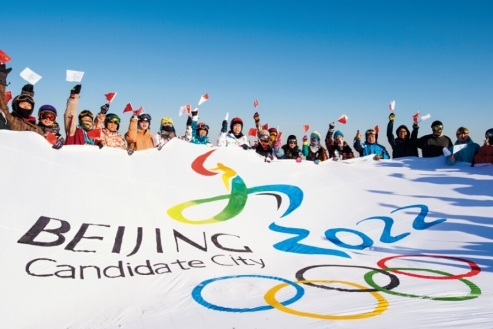 But, there is more to come, as Beijing is getting ready for 2022 Winter Olympic Games! 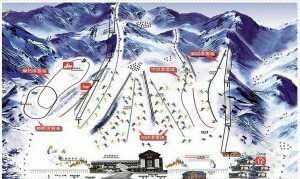 We only provide the ticket rate per day during weekends and it usually includes ski rental + lift. 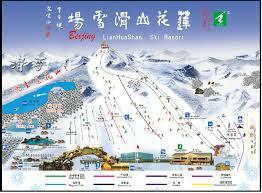 For additional rates and rental fee of snow clothes, ski helmet, kindly surf on the respective websites. 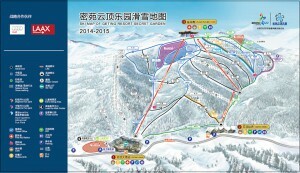 Best ski resort around Beijing, will be a location for Beijing 2022. 2015/2016 ticket price during weekends: 850 yuan / day / person (check website for additional rates per hour / half-day…). 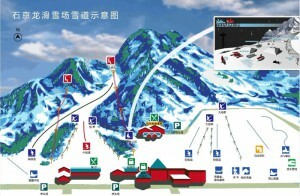 Fare increases up to 1100 RMB / day during peak season. Special promotions available on their website. Getting there by car: It is about 180 km from Beijing. Getting there by train: by 2022, there will be a high speed train. 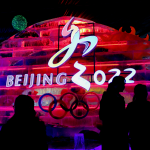 Will be location for Beijing 2022 Olympics. Getting there by car: G6 high speed road, then ZhangCheng highway, then Chongli South exit. 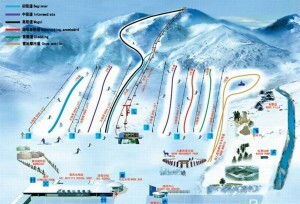 It is about 250 km from Beijing. 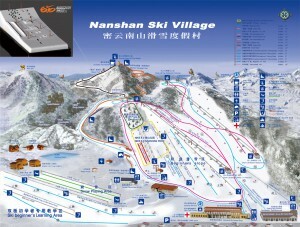 Getting there by car: Take Exit 15 off the Jingcheng Expressway and follow the signs to Nanshan Ski Village. It’s about 62 kilometres from Beijing. Getting there by bus: Daily Nanshan shuttle bus (RMB 45 full fare price). Bus 936 from Dongzhimen station. Highway direction Chengde, take exit 14 Huairou, then follow signs. Highway direction Jingcheng, exit 15 Yang Yan Road, then follow signs. Getting there by bus: Badaling Expressway, Exit 32 (Xiguan 西关), then head further North along National Highway 110 for 5km and turn left 800m at Tailing Tomb. Bus 919 or 880 from Deshengmen station, get off at西拨子 (Xī bōzi) station, then take taxi. Bus 880 from Deshengmen station, get off at 阳光 (yángguāng), walk for 20 minutes. Train S2 from Beijing North Railway Station, get off at Badaling (12 RMB), then take shuttle to station (30 RMB / car with 4 people). 2015/2016 ticket price during weekends: 390 yuan / day / person (check website for additional rates per hour / half-day…). 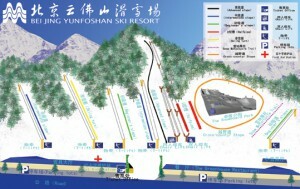 Getting there by bus: Take Bus 852 bus from Dongzhimen Bus Terminal to Century Plaza (世纪广场）in Pinggu, then take a taxi to Yuyang Ski Resort. 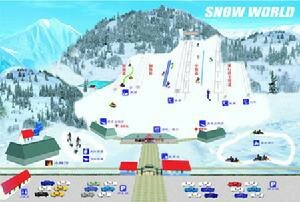 Getting there by car: Take the airport expressway, follow South Airport direction, then Jingping Expressway, Exit Pingsanlu (平三路), then follow the road signs to Yuyang Ski Resort. 2015/2016 ticket price during weekends: 390 yuan / day / person (check website for additional rates per hour / half-day…). 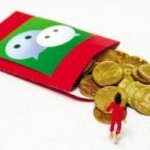 Fare increases during New Year and Spring Festival. 21 bus to the resort. Getting there by subway: Subway line 13 to LongZe. Then take taxi. 2015/2016 ticket price during weekends: 380 yuan / day / person (check website for additional rates per hour / half-day…). Discount for online booking. Getting there by car: Take the Beijing-Tibet Expressway (originally Badaling Expressway) from Madian bridge, take Exit 62 Yanqing Town, then follow road signs. Getting there by bus: Bus 919 from Deshengmen to Yanqing City, then bus 920 to Shi Jing (Zhang Shan camp direction 张山营方向). 2015/2016 ticket price during weekends: 340 yuan / day / person (check website for additional rates per hour / half-day…). Discount for online booking. Getting there by bus: Take bus 987 from Dongzhimen. Getting there by bus: Bu 918 from Dongzhimen. 2015/2016 ticket price during weekends: 840 yuan / day / person (check website for additional rates per hour / half-day…). 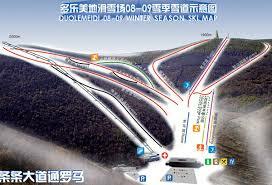 Fare increases up to 1064 RMB / day during peak season (Chinese New Year…). Getting there by car: It is about 220 km from Beijing. 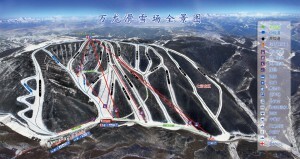 We will be sharing our SCOUT Real Estate experience in Wanlong Ski Resort soon. Do not hesitate to share your experience in one of these ski resorts!